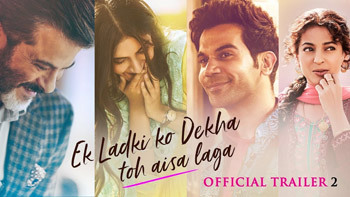 Ek Ladki Ko Dekha Toh Aisa Laga Official Trailer 2 - Love should not come with any labels and it should set one free. Sweety’s love story comes with a secret which complicates her relationship with her family. Will this secret be accepted by her family and society? Will her family come to terms with her secret and help #SetLoveFree?